After years of being an outcast, Lexus finally has a chance to reinvent herself at Magna Virtus Academy, a school for students with special powers. But she never dreamed she’d go from social reject to the star of the school. When Lexus develops a unique ability no one else has, half the students envy her, and the other half are fighting to be her new partner. Add in not one but two hunky boyfriends trying to share her affections, and Lexus is definitely in over her head. As if all of that wasn’t overwhelming enough, something strange is going on with their kind, and Lexus’ ex-partner Jaxson wants her and her boyfriends to forget the fact that he tried to kill them long enough to help him uncover the mystery behind their missing parents. With a suspect no one dares accuse and a dangerous criminal their only source of help, are the teens willing to risk everything to save their families? I have to say that I am just loving this series, and Taking Flight has turned out to be my favorite. 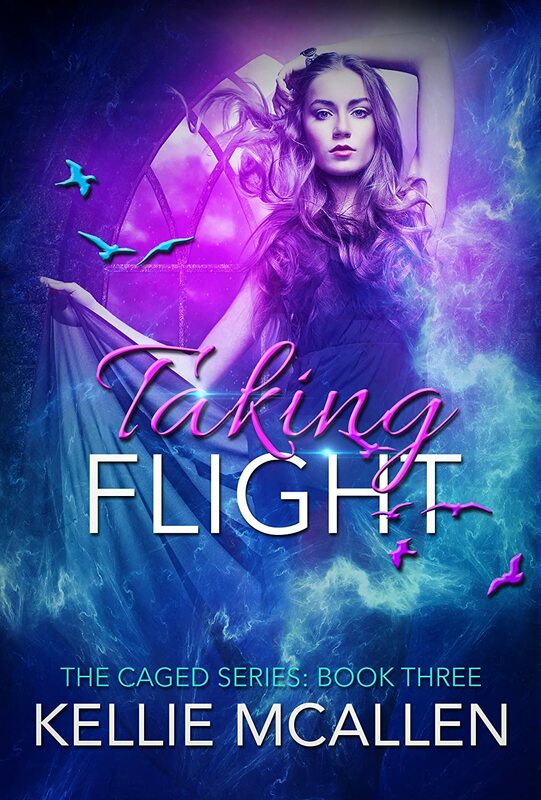 Pretty much picking up where book two left off, Taking Flight has Lexus and the twins Phoenix and Griffin comfortable with their relationship together. Things take a turn when they are caught together by Jaxson. I think Jaxson is alittle intrigued by what he sees, jealous maybe. But he wants to enlist the help of the small group, help in finding his parents, and maybe finding theirs as well. But with too much bad blood between them, the whole taking Lexus hostage thing and trying to kill the twins, they don't trust him. I don't want to give any spoilers but something big happens and Jaxson helps them. And the hunt begins to find their parents. What will they find? Good or bad they will get to the bottom of all the secrets, who is involved, who can they trust. Lexus really seems to be growing into her own, and I am really liking her role she is finally fitting into. The twins, what can I say but I love how they love Lexus and their need to take care of her. Jaxson had to grow on me alittle bit, but he is getting there. There is a cliff hanger, but as always it sets up for book four nicely. If your looking for a good youth Paranormal RH, then this series is for you. I do recommend that you read the series in order as they contain events and relationship building from the previous books. I would also like to add just how beautiful these covers are.